Being the strategic partner to over 650 organisations, we know how important organisation is in aiding businesses to be successful. Organisation doesn’t just have to stop at how your team work or your standard processes – it can also extend to your office too! Here at CIPHR we love life hacks! They’re a great way to organise every area of your life. Not only are life hacks an excellent way to stay organised they can also help you save time, improve your mood and won’t eat away at your budget. So here are some of our favourite life hacks which can be applied within your work place and will help you create an organised (and fun!) work environment. Always having to eat lunch at your desk? Unfortunately your keyboard is a magnet for every crumb and morsel of food. 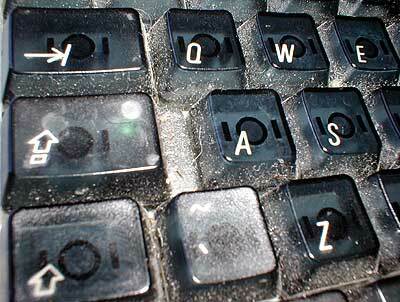 Thankfully,this clever life hack will help keep your QWERTY clean. Instead of turning the keyboard upside down, banging it on the desk (which isn’t going to do you with any favours with your colleagues!) to dislodge the crumbs, simply grab a post it note and run it between the keys. Voilà! Got loads of documents which need shredding but for some unbeknown reason the paper shredder just doesn’t want to play ball. Over time the blades within the shredder will begin to wear down as the dust from previous documents gathers. This cheap and nifty life hack will have your shredder sorted in no time at all. Simply run a few sheets of kitchen foil through the shredder to sharpen the blades and away you go! Do you have an office plant? Or maybe the remains the one shriveled in the corner behind the printer? Well grab the watering can as it has been proven that plants can help reduce stress and increase productivity. But do you really want to be spending a small fortune down at B&Q on plant pots? This quirky life hack will not only brighten up your office, it will save you money and give your office a unique twist. Use your old office supplies, such as that old desktop monitor sitting in the back of the stockroom, as a planter! Do you keep procrastinating at work? Got a huge deadline to meet but for some reason just can’t stop scrolling through your Facebook timeline? To increase productivity and keep procrastination at bay, download a plug-in, such as Stay Focused, for your browser which will limit the amount of time you spend on distracting websites. 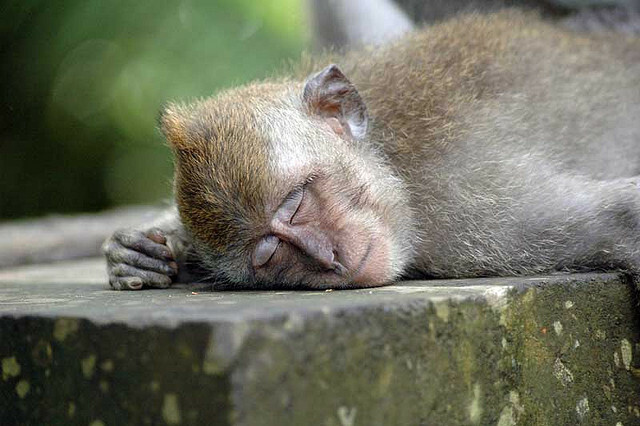 Hydrate – being dehydrated can make you tired so make sure you grab some good ol’ H2O! Exercise – studies have shown that a swift 10 minute walk around the block can keep you feeling fresh as a daisy for up to two hours! Music – listening to some of your favourite tunes can distract you from feeling tired and unmotivated. Music’s energising effects comes from its ability to engage with your body’s sympathetic nervous system – readying you for action whenever you face a challenge in your environment. So there you have it, five life hacks which will help you improve organisation, productivity and teamwork! Do you have any life hacks you couldn’t live without? Why not leave us a comment on our Facebook page or Tweet us your top tips.